Smartphones are equipped with WiFi and cellular data options, so that we can stay connected to the Internet on-the-go. But most mobile operating systems (like Android, iOS, Windows Phone) usually put some restrictions on the usage of cellular data. For example, system updates and large app updates can’t be downloaded without a WiFi Internet connection. This is a fairly understandable feature implemented to prevent accidental usage of excessive mobile data. Sometimes, though, there might be situations where you have no WiFi hotspots in the vicinity, and yet you need to download that app or system update. In this article, we’ll explore some workarounds to get it done in situations like these. Note: Allowing updates only over WiFi is a native feature of most smartphone OSs, which probably can’t be altered. Instead, here we’ll demonstrate how to use cellular data as WiFi where external WiFi internet is not available. You can utilize your cellular data pack to download large updates by tethering it over WiFi. For this, you’d require a secondary WiFi device, as it is not possible to create a WiFi hotspot and connect to it using the same device. This secondary WiFi device could be another smartphone, which is an option if you do have one at your disposal. But this is not a very feasible alternative, especially if you’re using the secondary phone just for this purpose. If you’re looking for a more efficient long term solution, you should opt for a dedicated WiFi tethering device, such as a 3G/4G WiFi dongle or a WiFi Router with 3G/4G dongle support. These are portable USB devices that can tether the cellular data over WiFi off a 3G/4G connection. In some regions, they are popularly known under the “MiFi” brand name, which often stands as an abbreviation of the term “Mobile WiFi”. MiFi devices generally come in two categories. Some of them are carrier specific, which are locked to certain cellular service providers. Others can support SIM cards from multiple providers and hence more preferable. Support for multiple carriers: The WiFi dongle should automatically be able to identify the inserted SIM and configure its settings accordingly. It should be a Plug ’n’ Play Internet access device. No additional software: The dongle should be able to work without the need of any software installation. Ideally, setting up a WiFi dongle should be as easy as installing the SIM card and plugging it into a wall socket to create the hotspot. 4G/LTE Support: If you have an LTE SIM card, you need a WiFi dongle that supports them. Otherwise, the data connection might switch to a lower supported band and you may not be able to use the Internet speed up to its full potential. Smartphone apps (Preferable): Some WiFi dongles provide smartphone apps to configure and manage specific settings. Doubles as a USB dongle (Preferable): A WiFi dongle may also work as a regular 3G/4G dongle. However, this requires the device to install a network driver on the system, which may be platform specific. 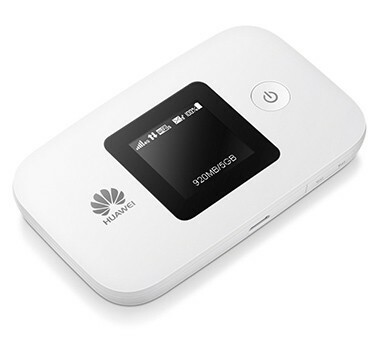 A second alternative is to use a portable WiFi router that can tether cellular data from a 3G/4G dongle over WiFi. If you have a 3G/4G dongle that supports your SIM card, you can plug it into a supported WiFi router and enjoy its tethered Internet connection over WiFi. 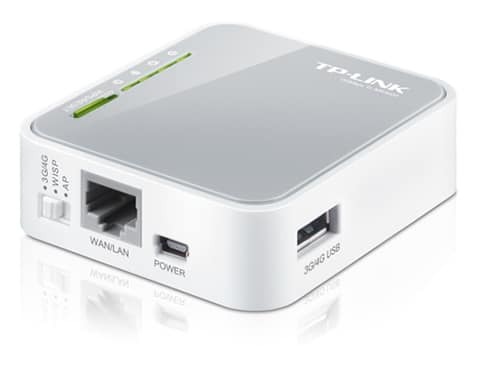 Nowadays, many WiFi routers are available with support for Plug ’n’ Play 3G/4G dongles. However, not all WiFi routers are compatible with every 3G/4G dongle available out there. Before purchasing one, do ensure that the WiFi router of your choice supports the specific 3G/4G dongle you already have. Once you have tethered the cellular data over WiFi, you can connect to the network from your iOS, Android or Windows Phone devices, by going to the WiFi settings and selecting the particular network. Depending on the firmware of your WiFi dongle or router, you may be redirected to a web page where you need to log in to access the configuration page. From there, you may be able to control the Internet access on other connected devices as well. Once your device is connected to the tethered network, it will see the connection as a regular WiFi internet, and you will be able to download software updates using your cellular data. Using a dedicated hotspot device for tethering is resource-friendly. The device itself consumes less power, having the only function of tethering a cellular data connection. Additionally, it also helps to reduce the power consumption of the connected device (smartphone). Various tests on different devices have suggested that connecting to the Internet over WiFi is usually more power-efficient compared to using a 3G/4G data connection. Since WiFi dongles can usually work with any USB power source, you can plug in your WiFi dongle to a portable charger and create a WiFi hotspot even while you’re traveling. That way, you would have the liberty to get software updates on your phone anywhere, on-the-go, provided the device is under mobile network coverage and supports data roaming too.